"Though often born into stability and privilege, this card needs a crusade to develop and express their gifts. 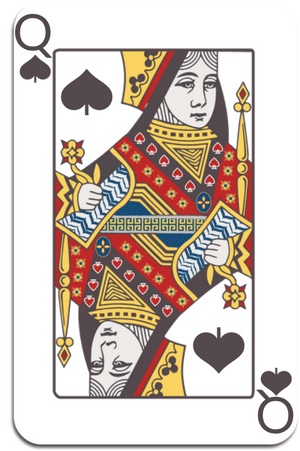 The Queen of Spades card is capable of seeing the big picture, likely to be very successful financially, and hold positions of authority. And, as with all leaders, their downfall can be their tendency to be..."